Other manifestations include attention-deficit-hyperactivity disorder, obsessive-compulsive disorder, poor impulse control, and other behavioral problems. Symptoms vary significantly from one patient to another, and the tics are often not the most disabling features of this condition. While the mechanism of Tourette syndrome remains unknown, research suggests that it is an inherited, developmental disorder of neurotransmission. This disorder affects approximately 1% of the population, and is 5 times more common in males. Symptoms range in severity from annoying to disabling. Patients with loud vocalizations or large movements either endure substantial criticism or withdraw from many activities. Prejudice in work and school settings is common. Inadvertent injuries, such as broken bones and joint degeneration can also occur after years of simple yet repetitive tics. Accidents are common. Current treatments of Tourette syndrome are purely symptomatic. No curative or preventive treatments are known. Medications have been used to treat tics, ADHD, OCD, and aggression. These include antipsychotics, dopamine-depleting agents, antihypertensive agents, skeletal muscle relaxants, benzodiazepines, SSRIs at 3-4 times the antidepressant dose, and Botox injections. Neurosurgery is performed in severe cases. All of these treatments carry significant risk and, sadly, offer limited benefit. 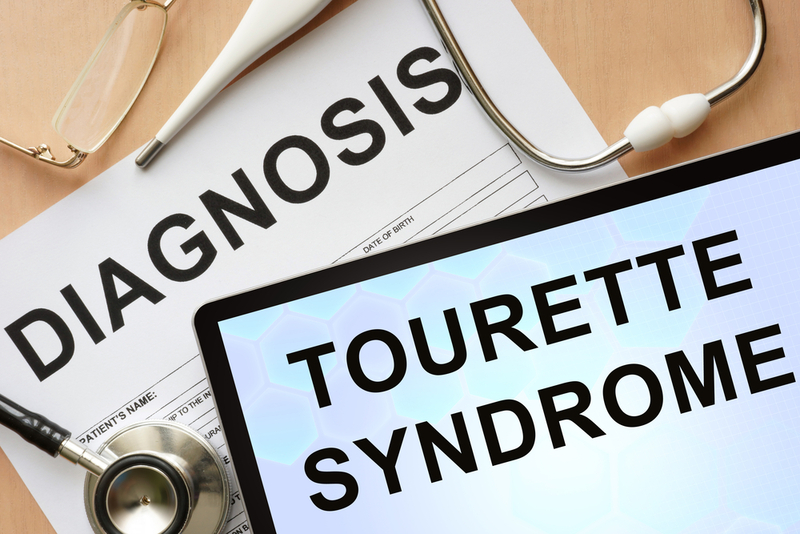 Many medical authors encourage physicians avoid treating Tourette syndrome with pharmaceutical agents unless the symptoms are debilitating. A significant body of scientific evidence suggests that the compounds found in cannabis can relieve symptoms of Tourette syndrome. Animal studies demonstrate that cannabinoids specifically affect the basal ganglia and other areas of the brain known to be involved in Tourette syndrome. Multiple case reports of patients using cannabis to reduce or eliminate tics and obsessive-compulsive behaviors have been published. One study found that cannabinoids could enhance the effectiveness of antipsychotic medications in this condition. The randomized, double blind, placebo controlled trial is considered the gold standard in clinic trials for treatment efficacy. Two have been published that evaluated the efficacy of THC in the treatment of Tourette syndrome. The first, which included 12 adult patients, found that 10 of them experienced significant improvement in their symptoms after a single dose of THC, ranging from 20-90% reduction in symptom severity. Another study of 24 patients found similar improvements with no detrimental effects on cognition; verbal memory span actually improved in the cannabis group. The acute effects of cannabis and THC are well documented, and are considered safer than most of the medications currently used in the treatment of Tourette syndrome. The lethal dose of cannabis and THC in humans is unknown and there are no reported deaths caused directly by cannabis toxicity. I have personally seen cannabis help in debilitating cases of Tourette syndrome, after other medications had failed. I would like to share a personal story. My best friend during ages 10-14, gradually developed Tourette syndrome right before my eyes. At first doctors thought he had postnasal drip or acid reflux. Over time, we joked that he was a one-man orchestra. The tics and obsessive-compulsive behavior worsened; the whole family suffered, and eventually he was no longer able to effectively function in a mainstream school environment. He left high school midway through freshman year and moved to a special needs school that was mostly attended by youth criminals. Our friendship quickly dissolved as he also became involved in delinquent activity. Three years later I saw him and he was apparently tick-free. He confided in me that he had been introduced to marijuana by friends at his new school, and to his surprise, his symptoms had almost completely vanished after smoking. He went on to become a college graduate and successful salesman, an unlikely profession for someone with Tourette syndrome. This was the first case of effective medical cannabis usage I ever observed. Müller-Vahl, Kirsten R. “Cannabinoids reduce symptoms of Tourette’s syndrome.” Expert Opinion on Pharmacotherapy 4.10 (2003): 1717-1725.